Celeste qualified as a physiotherapist, at UWC, in 1998. 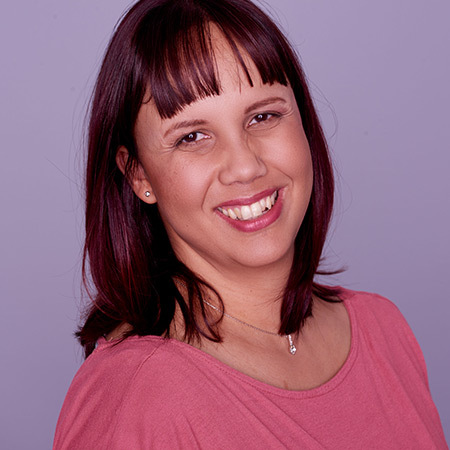 She is passionate about helping people realise their full potential and therefore, takes a holistic approach to their assessment and treatment. In order to address this, she has studied further in Pilates, chronic pain management, Women’s and Men’s health. She also tries out new movement therapies herself, so that she can best advise her patients on which direction to take with their exercise regimes, i.e Pilates, Yoga, Tai Chi, Low Pressure Fitness, Meditation. Celeste regularly presents talks on antenatal and postnatal care, exercise and pelvic floor dysfunction. She has an out-patient physiotherapy practice in Kuilsriver, which has a strong focus on rehabilitation and pain management. After experiencing pregnancy and birth herself, she had a better understanding of the changes that women undergo during this exciting ,yet often emotional and challenging, period of their lives. She then took a keen interest in learning more about the problems women experience during and after birth by attending post-graduate Womens Health courses. As most Womens Health topics are still seen as taboo, women often do not discuss incontinence and sexual dysfunction with their peers and/or medical professionals. Therefore, Celeste’s mission is to educate women about their bodies, what is normal, what is not and where to seek help. Hence,empowering women to take better care of themselves throughout their life cycle.